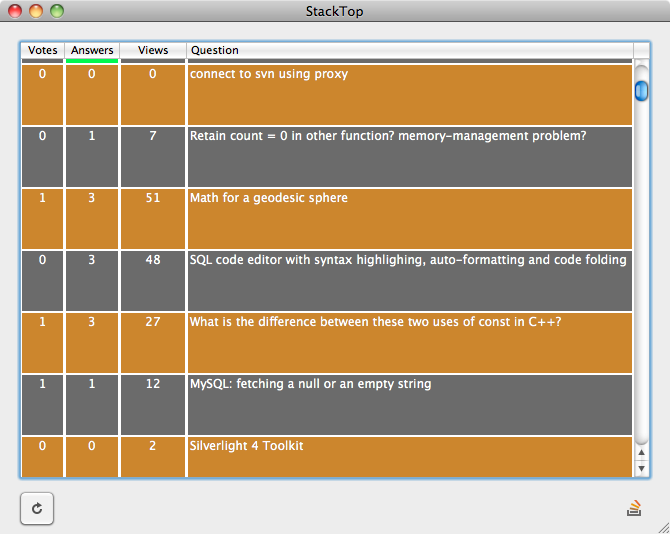 Stacktop is my Mac client for accessing most of the Stack Exchange sites. This will be released for free. Version 2.9 has been released. Reworked answer window into a drawer. Makes the overall UX and UI a little cleaner. I'll post up screenshots of the new UI a little later. UI Bug in Question Display window, not really a big deal, I'll fix it in 3.0, the official public build. StackTop is now out of beta!!! I will NOT be supporting other SE sites UNTIL they are out of beta. If you've ever used StackTop, then I'm sure you can imagine why. It really is a pretty big pain to get those colors in the table view (mainly the highlight colors), so I'm not doing it until the site is part of the SE network. Also, I will not be including the new metas for super user and server fault until there is a new site in the SE network. 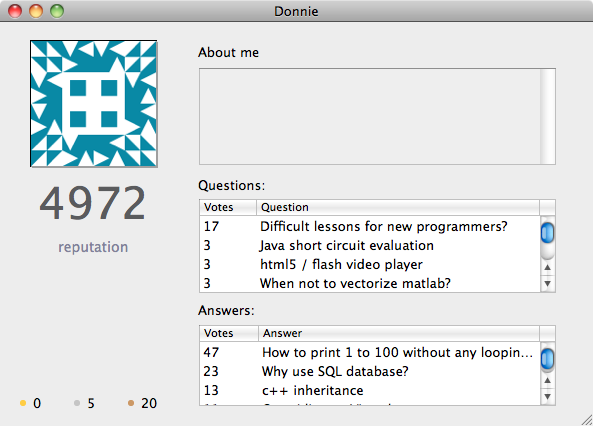 Browse other questions tagged app cocoa mac-os-x objective-c .